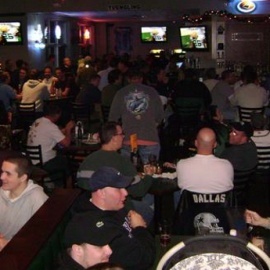 Rudino’s Sports Bars are family owned and operated and have 5 convenient locations in the Triangle to serve you. Stop by and have some of our award winning pizza, delicious grinders, ice cold beer, outdoor seating, and of course... sports. Looking for a great place to watch the Carolina Hurricanes or your local favorite football or basketball team in Apex, NC? Head to Rudino’s Apex location, The Sports Porch. Rudino’s is sure to become your favorite place to find sports along with great pizza, grinders, beer, and service.